The largest workbox in the current range, this product offers space for 4 people including tools and equipment. 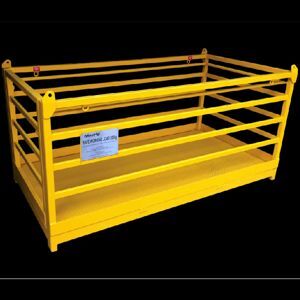 The unit is fitted with rated fixtures for attachment of safety harnesses and fully internal handrailing. This product is supplied certified to AS1418.17 and includes a proof load test certificate, MPI welding inspection report and Workcover design registration.